Need a gift? Create your own here! 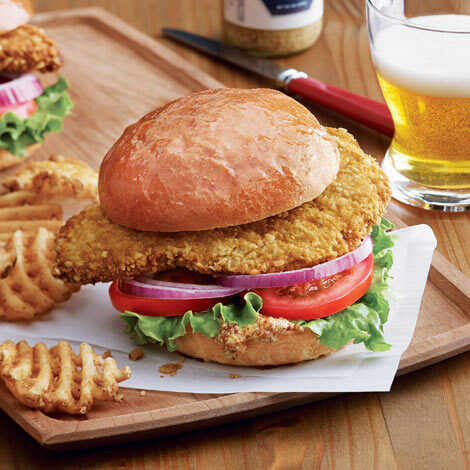 Our delicious Breaded Pork Tenderloins are a traditional Iowa favorite. They come from the leanest part of the loin, are tenderized twice, then blanketed with a light egg batter and cracker-crumb coating. And we now make them 30% meatier than we did before! Each tenderloin is 7 ounces - same recipe with more juicy pork. Enjoy the best of the Midwest! Sign in to access your address book. We will ask for all address info at checkout. The best pork tenderloins I have eaten! After moving from the Midwest to the South, we terribly miss having tenderloin sandwiches!! We have bought these tenderloins for years and they NEVER disappoint! I think they are better than you would get at any restaurant. 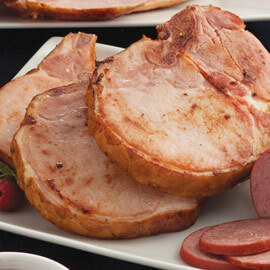 We since have bought several products from Amana and would highly recommend their hams and bacon as well! Great customer service too! Thanks Amana! I have been waiting so long to find a way to find a way to have Breaded Tenderloin to my House! I visited Indiana frequently and have never found anything like the authentic Tenderloins we used to order there. Finally! They are a nice size, cook easily and the taste took me back to many memories I had of eating them with family and friends! I will be ordering again soon! Our Breaded Pork Tenderloins were purchased as a gift so didn't personally get to experience them, but I was told they were very good. Our shipment was delayed at the airport, but Charisse went above and beyond helping us track and keeping everyone informed. Outstanding customer service - We'll definitely be using them again! Cooked our first meal in the air fryer and may have overdone..couldn't get a lot of taste..liked the weight of the patties but thinner than expected. The service on my order of tenderloins was spot on and the taste of the tenderloins was heaven for me. Breaded pork tenderloins are not to be found in my area of California, so after searching on the internet I finally found these gems from the Amanda Colonies. The service was great and the taste was spot on. I was so impressed that I promptly ordered the smoked pork chops that my husband said was his favorite from when we lived in Illinois and used to visit the Amanda Colonies. He cooked one of them tonight and I have to say it was the best I had ever tasted. The ride along cheese curds are very tasty too. Once again the serve was prompt and the chops arrived in great shape. Don't let the miles they have to travel hold you back, order today! You won't be sorry. Received my order of 30 pork tenderloins asked requested. Oder was easy to track to insure someone was home for the delivery. As for as the product words cannot describe how much my family enjoyed the full flavor of Amana's Giant Tenderloins. We also shared with our neighbor who were as much impressed. Thank you so much , I look forward in more orders in the future. Hats off the Amana and the fine list of products. I bought these as a Christmas gift for several family members, and they all loved them! I haven't had these in years and never expected to experience them again. They are great. The package was in very good condition and the contents seemed to be OK, but I have not eaten any yet. Great! Just what I was expecting. Service was timely. Everything arrived in good shape and frozen. Ready for several months of enjoyment. Growing up in Northern Indiana where breaded tenderloins are a popular favorite. It is impossible to get anything close in NC. I feel very fortunate to find your website offering breaded tenderloins. I would recommend this to anyone. It was a step back to my Indiana days when I made these tenderloins. Nicely done! The entire order and shipping process is easy and timely. More importantly is the quality and taste of the meat. You'll be hard pressed to find another place to match this. Your tenderloins are the best. Am a repeat customer and will return for more tenderloins. They are shipped quickly and packed with care. The ham is delicious, Outstanding. The first tenderloin we Fryed, we overlooked it a bit. The second and subsequent ones have come out Fantastic and Delicious. Being Indiana Hoosiers now living in Florida, we have searched and searched for breaded tenderloins that meet the Indiana standard.... and we have found them! We are so pleased with your tenderloins. The shipment was well packed and very fast and efficient! We actually had some for dinner the day they arrived! Thank you for bringing a taste of Indiana to us!! First time customer! What a pleasant surprise, I actually got what I wanted! Great taste. My husband and I had them the day they arrived. He said "The best sandwich he'd had in a long time" I'll be a returning customer to try some of your other products. Wish you were next door! Amana Response: Thank you so much, Pat! So glad you are pleased! We are happy to send a bit of Iowa to Florida anytime! Great tasting just like back in Indiana. Cant get them in Florida. Great product. The breaded pork tenderloins are delicious ! Wish they were a little thicker like I used to get in back home in Missouri but still very glad to have found you. Thank you for bringing my Midwest sandwich to the east Coast ! Bought these to try - reminded me of the ones from my school years. Good tenderloins, arrived quickly and cold, will probably buy again. Thanks! The box came and survived in 114 degree Texas temps. The customer service and support were amazing! Oh, and the tenderloins were delicious. Thanks again! A hog had to die! 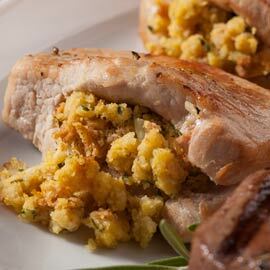 If a hog has to go, it would be proud to become an Amana Meats pork tenderloin. Sublime. Faithful. Utterly satisfying. The pork tenderloin were right on target and the only issue that might have risen was when I opened the box there was very little dry ice left. However, the the produce was still frozen, so it all good . Could I ask for more dry ice to be put in when I place my next order?? Amana Response: Thanks for your comments! There will be very little or no dry ice left in your package when you receive them. We don't want you to have to deal with a hazardous material and it will sublimate in approximately 48 hours plus or minus depending on outside temperatures. In the summertime, it definitely sublimates faster. We put in as large a dry ice as we are permitted, buy yes, please indicate on your order as large of dry ice as possible, and that will help our shipping department take an extra look at that for you. We look forward to your next order! We absolutely love the breaded tenderloins. I am from Indiana and I missed that sandwich so I thought I would see who had them and I found your company and I am so glad. Thank you! I give a 10 for the pork tenderlions! These are simple put the best pork tenderloins on earth! They are so easy to prepare in a skillet with a little oil, about 5 minutes later you have heaven in your mouth! I love when Amana Meats runs a bogo special, that's when I really stock up on these tenderloins, they are awesome! All their homemade bratwurst flavors are just as delicious, I always add them as a ride along special to my order! As a transplanted Hoosier, your BPT's have been a saving grace for me since here, in NC, they haven't heard of them. This recent order was my second order for 30 tenderloins and, because of the excellent quality, when my supply runs low, I be back for 30 more! Amana Response: Thank you so much, Larry! We are very happy to send you Midwest Tenderloins! Only kind of Tenderloins in the south are chicken. Being a Yankee I am glad I found your website. Well worth the cost. All ten of the pork tenderloin patties were broken into two pieces when I got them. They taste good, but they're broken and therefore they are difficult to cook and eat. Amana Response: Hi Mary, So sorry to hear that! They are supposed to (and most often do) arrive whole, but once in a great while depending on how much they get rattled in shipment or weather conditions, they will break. We will replace those for you. I will email you direct to set up the re-shipment for you. Thanks for letting us know! moved here 6 years ago ,Your Tenderloins ,brought me back to Iowa, so very Good !!!!!!! Recently tried the breaded pork tenderloins. We don't get this in TX. Very happy and satisfied with the quality. Amana Response: Thank you! We'll keep making them the best we can so we can compete with those Hoosier Tenderloins! We have found only one restaurant in Tucson Arizona that has tenderloin sandwiches. They are ok but not like you get in Iowa. We were happy when a friend ordered these from the Amana Colonies, as we are very familiar with the colonies and Iowa tenderloins. These are some of the best tenderloins that we have had. If you are not interested in making a sandwich cut them into strips and dip them in ranch dressing. Makes a great snack. They are awesome size and tasting. The breading is just the right amount without being thick and yucky. We have always been a customer of Maytag Blue cheese in Iowa and now we found the source of Iowa sized and taste of pork tenderloins. Service was rapid and we fixed them for dinner the evening we received them. Amana Response: We do recommend frying in oil, but you could try this to bake them: Bake the tenderloins in a pre-heated oven at 375 degrees. Brush the tenderloins liberally with oil and place on a wire rack or cookie sheet. Bake for approximately 8-10 minutes or until golden brown, turning over half way through the cooking time. I am truly pleased with the special offer I was given, and the speed of delivery. Very good flavor and handy-no need to go to McDonalds-these are better! We ordered Amana's Breaded Pork Tenderloins. Being from the midwest, we know a good tenderloin. Easy prep & delicious...who could ask for more? The pork tenderloin sandwich does not exist here in Florida. A truly delicious reminder of the popular Midwest sandwich that is as good as it gets. Highly recommend to everyone. As a displaced HOOSIER now living in NC where, for the most part, they have never heard of BPT, it sue was great to eat one. This will be an ongoing relationship (me and Amana) as long as the quality remains the same. Love the pork tenderloins so much that I made gifts recently to VERY appreciative friends. Keep up the good work. I haven't been back to Iowa in ten years and have been craving the tenderloins badly. My aunt had sent me some from another place for Christmas last year, they were good but not what I remembered. I found your site and sent a couple of boxes to some friends for Christmas this year. We finally had them last night and were every bit of what I remembered them to be. I will definitely be ordering some for my self soon. Our order arrived perfectly frozen and we had our first taste today. The breading is excellent and the pork tender. We live in NE Ohio and no one has breaded tenderloin sandwiches on the menu. Happy we found your web site. Keep up the excellent service and food. Great products. We sent them as gifts to relatives in CA so they could have a "taste of Iowa". They loved it. Only problem was our order did not get processed on the date we requested and that created some difficulty for the relatives receiving the shipment. Amana Meat Shop Co. was very helpful, found the order, and shipped next day air. Two days later our relatives received the shipment and were enjoying Amana meats and cheeses. My brother and I moved to Seattle from Des Moines, Ia. in the early 1970's. Really, really missed the tenderloin sandwich. Love this taste from home. We are from the Chicago area and moved to Las Vegas, NV 16 years ago. Seems like Nevadans never heard of Breaded Pork Tenderloins; a few places serve them, far and few between. These were wonderful. So BIG. I ordered 3 boxes...may have to share with friends. The quality was outstanding but several on the tenderloins were broken when the box was ordered. I ordered several items, but have only tried the breaded pork tenderloins. The order was promptly processed and I received updates as to delivery. Excellent service! These tenderloins were better than anticipated. They were twice as large as a bun, breading was perfect, tenderloin was exactly that: tender, no fat, no tough sections. These are better than any memory you may have. You will need a large fryer to prepare the tenderloins. I am from Amana and am very pleased to see quality still remains in Amana meat products and service was A+ ! This was my first order. I will order again!! Wonderful! Easy to prepare and tastes just as I remember. We had ordered your Tenderloins. They were sent to my brother N law in Washington. He called and said they were the best he has ever had. As usual, the Amanda products are great. The only thing better than the food, is the service provided by the Amanda Meat Shoppe staff. My husband loves Amana pork tenderloins. I deep fry it, pour brown gravy over it and serve it with sauerkraut and fried potatoes. I moved from the Midwest to NM 19 years ago and it is almost impossible to find a tenderloin sandwich. Out of the blue, I received a catalog from Amana and my eyes went straight to the tenderloins. I fixed one as soon as the package arrived and was thrilled that it tasted so good. Flavor, the breading, the size were all as I remembered growing up in the Midwest. I will definitely reorder and have given several to my other neighbors who came from the Midwest. Everything was fine I'm very satisfied with this purchase. I vacuumed sealed them and I fryed one up that afternoon brought back fond memories of my teen life back home. The sandwitch was great. Purchased these for sandwiches, which I love. The flavor and texture of these tenderloins was very good. Would recommend this product. Growing up in Des Moines meant quite a few trips down to George's for a sandwich. I ordered these last week and dropped a couple for friends and my wife so they could experience what they've been missing out on. These did not disappoint and the price is right. Will definitely order again. 7oz breaded tenderloins - Grreat! I love a good tenderloin sandwich and thesen Amana tenderloins are the best I've had! Will be ordering again!!! The coating was great. The meat was thin and not as dense as I expected. More patty than tenderloin. I ordered some Breaded Pork Tenderloins as a surprise to my family; we are originally from the mid-west and have been so hungry for a tenderloin which you can not find in the state of Oregon. We were not disappointed, it brought back such wonderful memories. We will definitely order again in the near future. I didn't realize as a new customer I could have got a discount on the first order, that was my mistake but well worth the money. Thank you Amana Meat Shop! My brother sent these to our family as a surprise. I would recommend while delivery in the state of Arizona in the summer, you do not use UPS. We made arrangements to make sure we were home on delivery days. UPS loaded my order onto the truck at 4:30 am and weren't delivered until after 11:00. There was absolutely no dry ice in the cooler and some of the meat had thawed. Out here, UPS doesn't ring the bell so they were just left on our porch. Fortunately I was tracking the package from work and notified my husband. Other than that, the tenderloins are fabulous. Haven't had breaded tenderloins like these in years. Then I found Amana on the internet. These breaded tenderloins are outstanding!! I will be buying more of them. They are like I remember from many years ago. Thanks Amana!! You are the best! Nice size. Easy to prepare in deep frier or on stove top. Saluting in lard adds a dimension. Very tasty. I will order again. I have left Iowa over 40 years ago and moved to California. I have been looking everywhere for a pork tenderloin sandwich. They don't know what it is out here. Found your company online and ordered my pork tenderloin. All I can say is thank you. I am enjoying them and my family is, too. Amana Response: We are so glad you found us, Sharon! Growing up in Iowa pork tenderloin sandwiches were something I took for granted. Every time I visit family in Iowa that is the first thing I want to eat. Since moving to Texas that is something I really missed. Then I discovered Amana Meat Shope and Smokehouse. They shipped to Texas and arrived in 2 days frozen and ready to put in my freezer. I cooked a couple of them last night and was delighted to taste Iowa again. Thank you for great thick tenderloin patties that make me feel like I am in Iowa again. From our Iowa college, we used to visit Nick's restaurant and order a pork tenderloin sandwich. It came sticking out all around the bun. And it was a sizeable bun! Over the years, I've found that there are few places where you can order a pork tenderloin sandwich and get anything but quizzical looks. Amana Meatshop & Smokehouse offers the opportunity to relive those old times no matter where you current residence is. The tenderloins are large and juicy and, although Nick's is now long gone, can continue to offer the pleasure of a great port tenderloin sandwich. I grew up in Northwest MO with the tenderloin being a favorite meal. Here in Southeast MO you just can't find them. So glad I found your company and will be able to acquire them in the future. No where in the state of Florida can you find a breaded tenderloin. No one here even knows what a breaded tenderloin is. Found your website by accident, ordered the tenderloins and was not disappointed. Thank you, thank you, thank you! These are the best Breaded Pork Tenderloin I have ever had, they are tender and juicy. They are much bigger than I expected . I recommend these tenderloins to any one looking for a great pork tenderloin. Just like the tenderloins we ate in Iowa and Illinois. They are delicious. I have tried many recipes to create an Iowa Tenderloin at home and have gotten "ok" results. These were delicious. I have a colleague from Iowa and we split a box of 30, perfection. Amana Meat Shop, even personally called me about the order, excellent customer service!! Amana Response: So glad the tenderloins are a "hit", Julie! We look forward to helping you out again! Great Tenderloin that you can't find just anywhere. It's hard to find a good tenderloin any more. They are very regional, and I guess I am living in the wrong region. But these are great. Just like 20 years ago at the diner. From the time my Dad married my Mom in 1943, he promised to take her "back home" to Illinois where she was from every year. She had come to Washington, DC to be a government girl straight out of high school. It was our vacation all my life, visiting her large family. My Dad and I looked for any chance we could find to get pork tenderloins, a treat we can't get out here. I did the same any time I took my Mom back during my adult years. Now I have found Amana and ordered tenderloins and surprised my 93-year-old mother with a tenderloin sandwich on Easter. I intend to do the same more often. We had a wonderful lunch that day. So glad to find you. They are worth every penny I spent on them, and I will be ordering more. Amana Response: Thank you for sharing your stories of your parents and memories of enjoying Midwest Tenderloins. We are glad you found us, too! These breaded tenderloins are fantastic!!! We have missed our Indiana tenderloins. We ordered from Amana and they arrived as expected but even more delishcious than expected. Will be ordering again. Awesome company!!! My husband just returned from a visit to his childhood home of Davenport, Iowa He always looks forward to having as many pork tenderloin sandwiches as he can fit in during a one week stay. This year he came home disappointed. They went out and had pork tenderloin sandwiches in 2 different restaurants and all of them used ground pork instead of the true pork tenderloin. So I decided to do something about it and Google led me to Amana Meats. I immediately ordered 30 pork tenderloins and had them sent out here to California. They arrived as stated in 2 days via UPS. Even though the dry ice was gone they were still well frozen. The very same night we made the most delicious pork tenderloin sandwiches my husband had ever eaten. Instead of ham this year for Easter we are going to have pork tenderloins. Thank you Amana for still doing it right! Amana Response: So glad your are enjoying and that we can supply a former Iowan with his Tenderloin fix! One of our biggest treats growing up in Iowa was going to the Drive-in restaurant and getting the big pork tenderloin sandwiches. We've been all over the country and have found nothing comparable. Even buying whole pork loins and hammering them out ourselves was not the same. 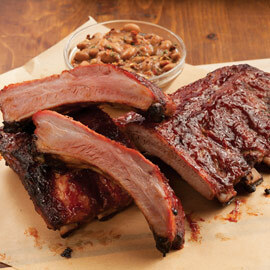 We finally found Amana Meat Shop and Smoke House on-line. I called for information and made an order. We tried at them our first chance and they were everything the customer service rep said they would be. These were the most tender pork tenderloins we've experience since leaving Iowa 45 years ago. Looking forward to trying their other products, too. Amana Response: Thank you so much! So glad to hear you are enjoying your Iowa Tenderloins! Delicious! I live in Florida, a transplant from Illinois, and no one down here has ever heard of a pork tenderloin so I was so happy to find your company online! These are the real deal! Makes me feel like home! My husband grew up in the mid-west and loves pork tenderloins sandwiches, When ever we go out their for a visit that is the first thing he wants to get, so I decided to see if I could find them on line and did. Amana Meats is great to deal with and these sandwiches are out of the world. My mother grewup in Iowa and loves tenderloin pork sandwiches. She now lives in Colorado and hasn't eaten them in years. I bought them for her birthday and she absolutely loves them. We will definitely buy them again. I sent these tenderloins as a gift to my mom, who was born and raised in Iowa, but now resides in Pennsylvania. When she visits she always has to have an Iowa tenderloin (and a maple donut). Apparently when you ask for a tenderloin on the East Coast, you get the actual loin. :) She called me when they arrived, since she had no idea, and I'm pretty sure she was crying!! That night I received the picture of them eating them. Hilarious!! I am so happy with the whole process. I would absolutely order again. Amana Response: Thank you, Valarie! Great story about your mom receiving them! We look forward to serving you again. My husband is from Iowa, and I was so happy to find Amana Meat Shop, online. We enjoyed our first pork tenderloins the other night, just like he remembers from home. We always get the tenderloins for Christmas and they are always perfect! Have lived away from Iowa for 15 years and missed Tenderloins so much! These are like being home again!! I had the breaded tenderloins shipped to my dad all the way in Alaska. They arrived on time and in perfect condition. I would highly recommend this company to everyone. A little taste of home. Wonderful service and great products. Anyone from outside the Midwest.... if you have never had a Tenderloin - this is the place to try it! Addictive! "Can't make tenderloins in Colorado" so they say. OK we will just get them from Amana Meat. We know they are great because we used to live 30 miles from Amana and have shopped there many times as well as going there every time we are back in Iowa. Orders are shipped to us in Styrofoam/dry ice and arrive still frozen and ready to enjoy and we enjoy them very much. Keep up the good products. So glad to have the tenderloins to send to Connecticut. They don't seem to be able to get them on the East Coast. My daughter and her husband loves tenderloins. Thank you. The product was delivered frozen solid in perfect condition and are great, will buy again. I order the tenderloin patties as a special gift to my family for Christmas. We live in Texas and chicken fried steak rules here so pork tenderloins are hard to come by. I was raised in Iowa on farm raised pork and I enjoy eating a good tenderloin sandwich when I have the opportunity. My family seems to enjoy this gift each year as I divide up the order amongst them and my dad (who is from Iowa also). I have ordered from other places but we enjoy yours the best! Thank you! This was the first time ordering the breaded pork tenderloins. Very flavorful and tender. Fried several, then made an onion gravy and let the tenderloins stew for about 20 minutes in the gravy. They were awesome. Very tender and a not too heavy crust. We've ordered tenderloins from the Amana Meat Shop in the past, and they've always been great. But these are even better than before! Again, the tenderloins arrived completely frozen. My husband loved the larger size. Finally got some for myself after giving as gifts for years! I used fry pan. Just a little bit of oil on medium heat, turn, and they are done and delicious! The people at Amana meat are wonderful to deal with, too! Amana Response: Thank you, Debbie! And we loved being able to send a bit of Iowa to you! Every year we send tenderloins at the 4th of July to our family in Medford, OR. This year I found Amana Meatshop and placed an order for 2 boxes of the 7/oz twenty count tenderloins to be shipped. They shipped and arrived exactly on the days as promised. The feedback was unlike any other year since we started shipping them in 2005. The entire family raved that these were, hands down, the best and requested that this be the "go to" place for all future shipments. This request, and the rave reviews, came from both our Iowa born and raised family as well as our family members who did not grow up in Iowa eating different tenderloins over the years, as they also noted the difference in taste, size, and meat vs breading ratio. Needless to say, we are now be lifelong loyal customers. Thank you for bringing joy to our family! 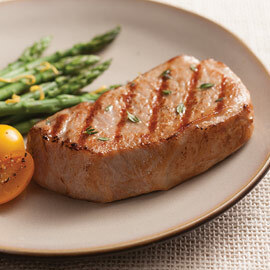 Tasty and quick & easy to fry, these tenderloins take you right back to the Midwest! Tremdously good product , excellent service & when you buy the big box , everyone wins ! Fantastic as always. My wife grew up in Amana and the taste of home was perfect for Mother's Day. Born and raised in Nichols, IA we misses the great IA pork tenderloins. Now we found them again. Simply the best ever. Folks in Colorado do not know about these delicious sandwiches, which is too bad for them (and me). Tasted just like the pork tenderloin sandwiches we used to eat in Cedar Rapids. Honest price and flawless shipping. Very good. Was looking something more along the lines of the Texas Tenderloins that are sold at fairs, etc., but all-in-all a good product. FINALLY! My new source for pork tenderloins! I'm an Iowa gal living in Colorado and haven't been able to find those famous pork tenderloins until now! Just like the ones I remember when I lived in Iowa. AWESOME! Ordered this for family for Valentines Day - they LOVED it. The only way to get these tenderloins in the South is through Amana! The tenderloins are delicious and we love them, however, every order that we have placed, they have arrived broken in pieces. We would like to recommend that you pack them with additional cushion to eliminate this. Amana Response: Thank you for your comments! Glad you are enjoying them, however, so sorry they are arriving in pieces. We are working on eliminating this issue and hope to fix it before we ship to you again! Perfect!! Just as I remember from the Midwest. No one makes them for sale where I live in Southern California, so discovering your website was a treasure. Fantastic! We grew up near the Amana Colonys and the tenderloins are just as good as we remembered! We've orderded from Amana Meat Shop before and will continue to do so! nice to have a little bit of Iowa in the south! I am from Iowa and now live in Utah, where you can not find breaded pork tenderloin sandwiches. I ordered them from Amana and they are just how I remembered them ! They were delivered quick and still frozen. These tenderloins are nothing less than outstanding! A Midwest treat that I often have longed for has been fulfilled and so easy to prepare. Try these if you miss that good ole tenderloin sandwich!! We are enjoying the breaded tenderloins - they are fantastic! I left Indiana in 1967. I have not been able to find these breaded Pork Tenderlions. Finally I found them. I love these breaded tenderloins. Such great memories and introducing my California friends to them. Great service, great shipping. What a find. Thanks so much. I will be back for more! I am from Iowa but live in New Mexico. I have been trying to make these but couldn't get it right. Went on line and I am so glad I did. Yours are perfect. I am in heaven! Thank you. As a native Iowan living in North Carolina, I often get homesick for my home state. One of the things I missed is the Iowa Breaded Tenderloin! I ordered a box and split it with another Iowa friend.. They are FANTASTIC!!!!! We will be ordering again. Go Hawks!!! We have ordered these several times. They're great! Just like we had when I was a kid. Hard to find anywhere but Amana. As misplaced Iowans, we enjoy being able to have our tenderloin sandwich in our own home here in the desert. Don't have a deep fryer but works well in a bit of oil in a skillet. Thawed first of course. If you have a better way, let me know. Order received the dry ice was gone. The tenderloins were still very good. I will most likely reorder. Amana Response: Thank you, Richard. Yes, the dry ice will almost always be gone by the time you receive your order. Grew up in Jefferson and Keokuk counties in SE Iowa...always my favorite and as another client had mentioned...not availble in Ca.,.. These tenderloins has the flavor of 50yrs ago. Simply said these are the absolute BEST and I will continue to purchase them. Growing up in Indiana I loved Pork Tenderloin sandwiches but living in California where they have never heard of such a thing...I was very pleased to find that I could get a top quality Pork Tenderloin from Amana...totally satisfied and I am on my second order now! I grew up on a farm in Marshall County, Iowa. I have been to the Amana Colonies to eat at restaurants. The breaded port tenderloins are not available outside the midwest. I have given some to friends and they love them. Thanks for making them available. Ordering by mail is always risky. Tenderloins arrived with all but two completely frozen. Had to sample them the first night. Great!!! I was really glad to find the pork tenderloins. I've been looking for some where to buy them for years. These are really delicious - I wish they were a little thicker. Amana Response: Thanks for the review, Sue! You are right on - we are working at making them a little thicker. Stay tuned! Growing up in Iowa, loved those tenderloins. The best I've ever eaten. I do recommend them. Ordered tenderloins as a gift for some out of state friends. Product shipped the next day, arrived 2 days later in perfect condition. My friends were thrilled with a taste of home (former Iowans). Thank you! These breaded pork tenderloins are just as I remembered, growing up in Iowa as a kid. What a delight! Great service, timely delivery, well packaged, made fun/very useful Christmas gifts, and very good taste! Thank you! Originally from the south we crave pork tenderloins and are unable to find any where in our area. They remind us of home. My wife and I are both 84. These tasty tenderloins brought back fond memories of growing up in Iowa. What a great treat! Yum! Yum! I bought breaded tenderloins for my Parents Christmas gift, I received a phone call back "best gift ever"
ease of ordering and was shipped on time as requested. The gift was received and they were delighted with the order. out of this world, ate 3 the first day!!! The Tenderloins from Amana are as good as I have had at the Indy 500 or anywhere in the Midwest. The breaded pork tenderloins were something new for us to try. They are wonderful! We have lived in CA for years but are originally from the Midwest. This is one of the things we miss the most and these are delicious!! Amana meats can't be beat for flavor and quality. Breaded tenderloins are large, meaty, and delicious when deep fried. Try them once, and you will enjoy the goodness only Amana and Iowa pork can give you! Love Iowa tenderloins, they are great! I received in about 4 days. Arrived well frozen. Patties were bigger across than I expected but a little thin. Good flavor but not as good as the Indiana version as they are much thicker and more flavor probably because thicker meat and breading but pretty much the same kind of flavor which I can't seem to make myself. Very good Product and arrived still frozen and well packed. Will order from again. David. These tenderloins taste just like I remember enjoying when I lived in the Midwest. What a treat. Easy to fix and good to eat. The meat is tender and not too thick, so they cook quickly, with just the right crunch. Whether as a sandwich or on the plate, they are really good. Breaded pork tenderloins are best deep fried the old-fashioned way. Preheat oil to 375 degrees F. Place frozen tenderloins carefully in oil and fry until they are golden brown and float to the top of the oil. Cook approximately 4-5 minutes, turning once halfway through cooking time. Color and time may vary depending on the temperature of your oil and fryer; make sure not to overcook. Keep frozen until cooking. We recommend serving your sandwich with our German-Style Mustard, lettuce, tomatoes, onions & pickles, or make it your own with your favorite toppings and condiments! Sign Up for our Email Newsletter Subscribe for our latest stories and promotions. You must be completely satisfied, or we will make it right - with an appropriate exchange or refund. © Copyright 2019 Amana Meat Shop & Smokehouse. All rights reserved. Get weekly specials, updates on new products, and more!